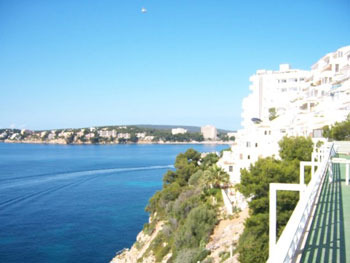 Magaluf (Magalluf), in southwest Majorca, is one of the most popular Balearic Island destinations. 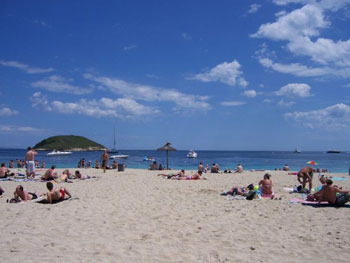 Magaluf holidays attract young adults looking for sunshine, sand, water sports and a buzzing nightlife. Our deals are ideal for groups celebrating 'stag' and 'hen' weekends or anyone looking for some guaranteed hot summer sun, clean white sand and warm clear waters. As well as the provision of water sports, there are two water parks. Other activities include tennis, golf and go-karting. If you’re seeking to escape the uncertain British weather and quickly join in the vibrant atmosphere, check out our last-minute offers today. You'll be surprised by the range of deals that will keep you within budget and allow you to spend a little extra money for any liquid refreshments or trips to the market. Discover our latest holidays to Magaluf via our search box and book your Spanish holiday in the sun today.